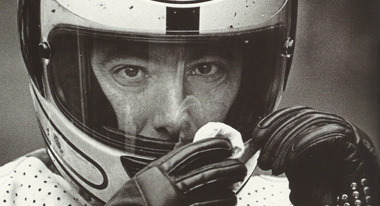 Joey The Man Who Conquered The TT - a new motorsport documentary from Bigger Picture, makers of the acclaimed Grand Prix: The Killer Years and Madness on Wheels. A heartfelt and intimate documentary of one of the most remarkable sportsmen of all time, told by some of his closest friends, colleagues and rivals. The Isle of Man TT is the most dangerous motorcycle race in the world. Over 230 people have died trying to conquer the 37 3/4 mile circuit, regarded as the ultimate thrill ride for any racer. 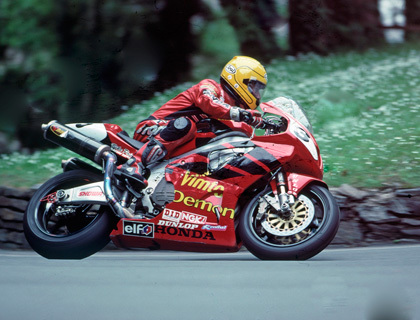 On June 7th 2000, pub landlord and supremo of road racing Joey Dunlop won this race for a staggering 26th time. Less than one month later Joey would be dead, killed in a freak accident in the woods of Estonia. This is the incredible story of how one determined middle aged man of almost 50 years old beat the odds, only to be cut down in tragic circumstances. This is the story behind Joey Dunlop, told by those that were there. Featuring multiple TT Champions John McGuinness, Phil McCallen, Brian Reid, Mick Grant, Ron Haslam, Roger Marshall, Jim Dunlop, Neil Tuxworth and many many more.